Every day the web is becoming more personal. Consumers expect the brands they interact with to know them in the same way that their Netflix account and their Spotify playlist does. If brands are going to meet these heightened expectations, they’ll need to have more than probabilistic profiles or carefully honed audience segments in their toolbox. They’ll need to master the fundamentals of identity across the screens, devices, and platforms that make up our extended digital ecosystem. 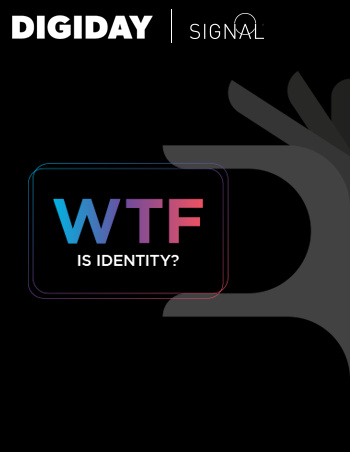 In short, they’ll need to figure out WTF is Identity?